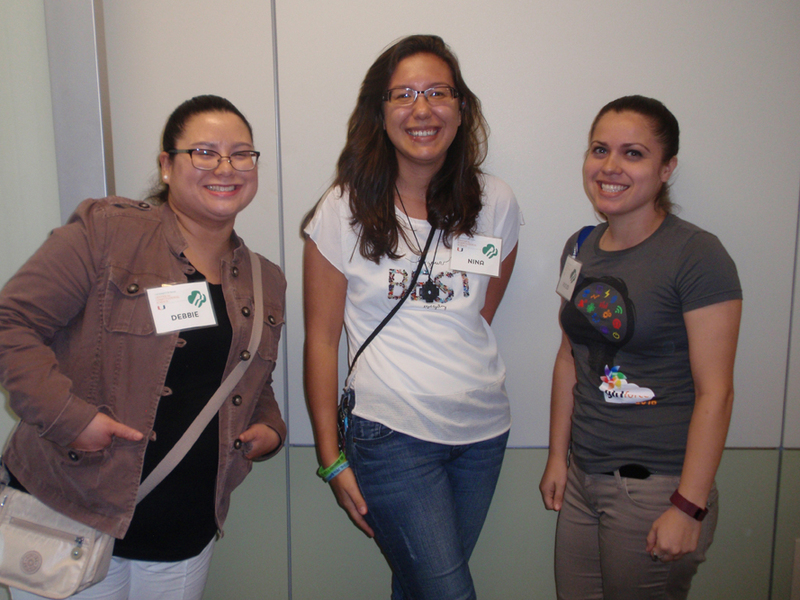 On December 4, 2016, CCS Training & Outreach had the pleasure of welcoming 38 Girl Scouts to the second annual “Girl Scouts Can” Tech Event. The girls were eager and enthusiastic to meet computer scientists and graduate students in computational fields who led them through activities designed to create a scaffold of computational thinking and inquiry. 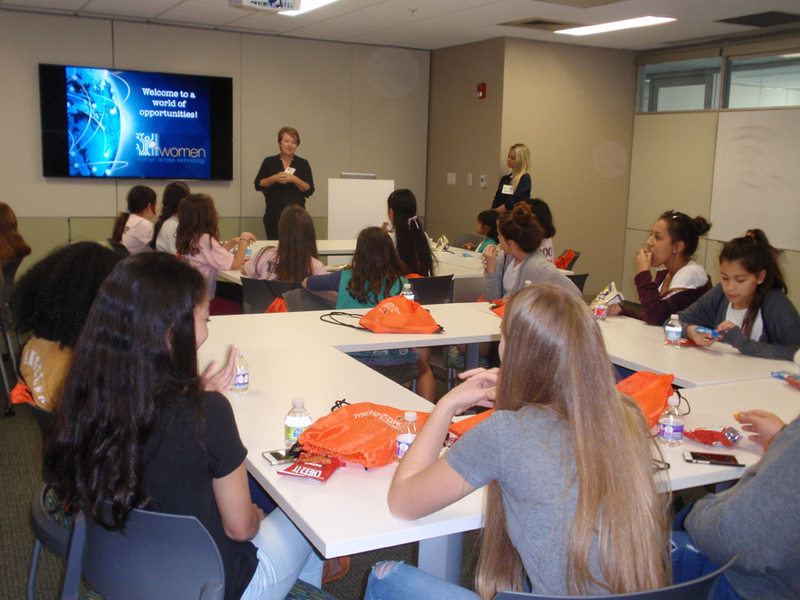 Dr. Mahsa Mirzargar, a faculty member in the Department of Computer Science, shared with the girls her work in visualizing hurricanes. This activity took place in the VizLab, our state of the art visualization laboratory that was custom built to serve particular needs. The girls learned that visualization can alter your perception of a phenomenon, and saw the combination of art and science as a powerful tool for understanding the world around us. Ashley Beecham and Patrice Persad, two UM students in the PhD program in Human Genetics and Genomics, led the girls through an unconventional game of battleship, designed to teach them about search algorithms and the concepts of time and space efficiency. Ashley and Patrice also shared about their work in computational genetics, a field that lies at the intersection of statistics, computer science and biology. 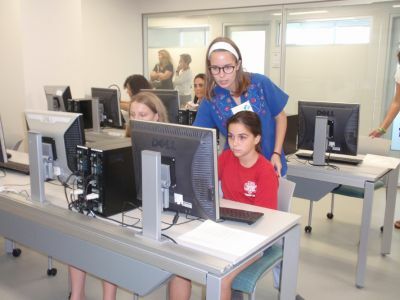 Sofia Quevedo and Isabella Quevedo (two students at Coral Gables Senior High who started an unofficial club to teach girls how to code) taught the Girl Scouts how to code in Scratch. Scratch is a breakthrough in teaching coding in that it allows students to focus on the concepts first, before learning a more complicated language that requires mastery of the syntax. Finally, Claire Marrero, who works in IT Women—a local nonprofit that offers internships, scholarships, and robotics camps for girls (to encourage them to pursue careers in computational fields)—led a conversation with the Girl Scouts on the history of women in computer science. 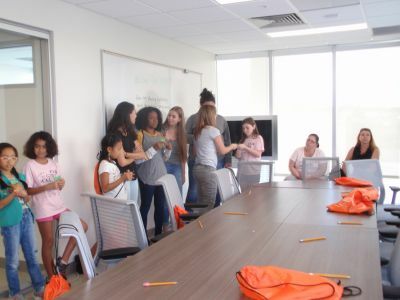 The Girl Scouts shared their interest in being creators, rather than just users, of new technologies, particularly where their interests have to do with Virtual Reality! Their empowered, fearless tenacity will surely serve them well in whatever way they choose to incorporate computational science into their lives. 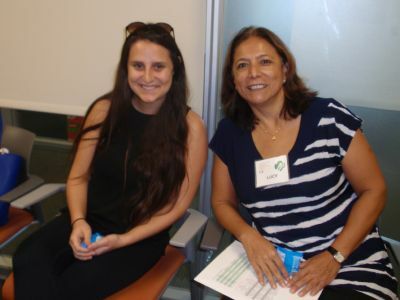 This event would not have been possible without the tireless help of all the volunteers, staff, and students from various parts of the University of Miami, who also shared about their career paths into the world of technology. It has been an honor to carry on the legacy of my predecessor and Girl Scouts troop leader, Dr. Sawsan Khuri who established this event. I very much look forward to welcoming the Girl Scouts again in 2017! 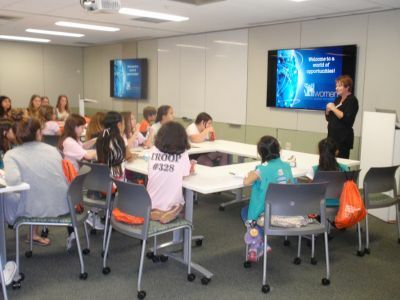 This event encouraged the Girls Scouts to learn about the various disciplines that computational science is getting into nowadays, and how important it would be for them to learn about it. The girls were randomly formed into Teams (the luck of the draw). My team was called “Girl Code”. The teams rotated through four stations. Each station showed the girls the benefit of integrating computer science into their lives. The first station was called “The Battleship”. This station showed the importance of utilizing algorithms to solve problems, also, how even a simple game such as “Battleship” can aid a programmer’s skill. The next station that my group and I went to was “The Viz Lab”, here were we shown the different types of visualizations that weather forecasters use, and how they could affect our perception of the information they are trying to present. 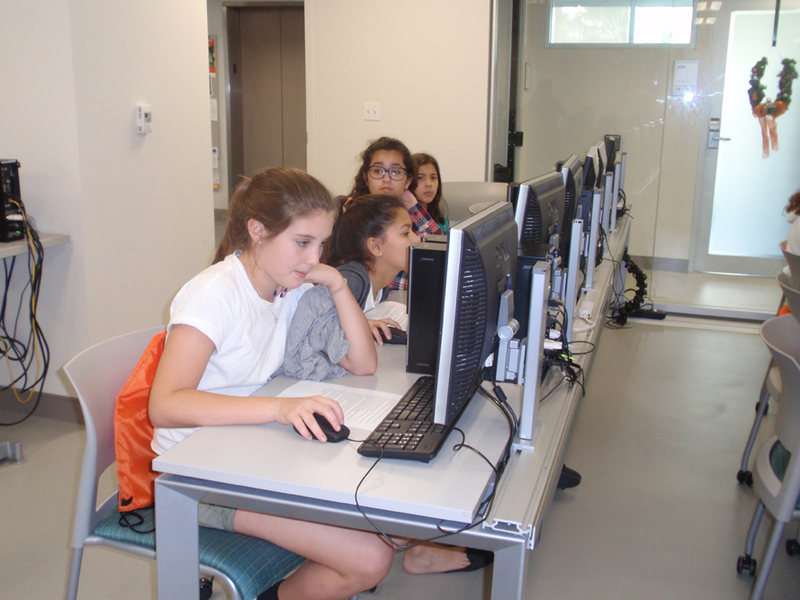 In the following “Scratch” station, the girls were able to play with very simple programming in Scratch. The girls used their imagination and created something fun and dramatic through programming. The last, and, may I say, my favorite station would be the speech that speaker Claire Marrero, president of It Women, gave to the girls. Discussing the many opportunities that IT Women offers to us girls, she gave various examples of women who integrate computational science into their careers. The overall message of the event was what really engaged me to lean toward computational science. In today’s society, women have to overcome stereotypes, and become the very unexpected. I am overjoyed that I got to take part in event and I cannot wait to be part of it again, as things go computer science is the future.